Mmmmmm… I knew I shouldn’t have taken these pictures. Now I NEED nachos. 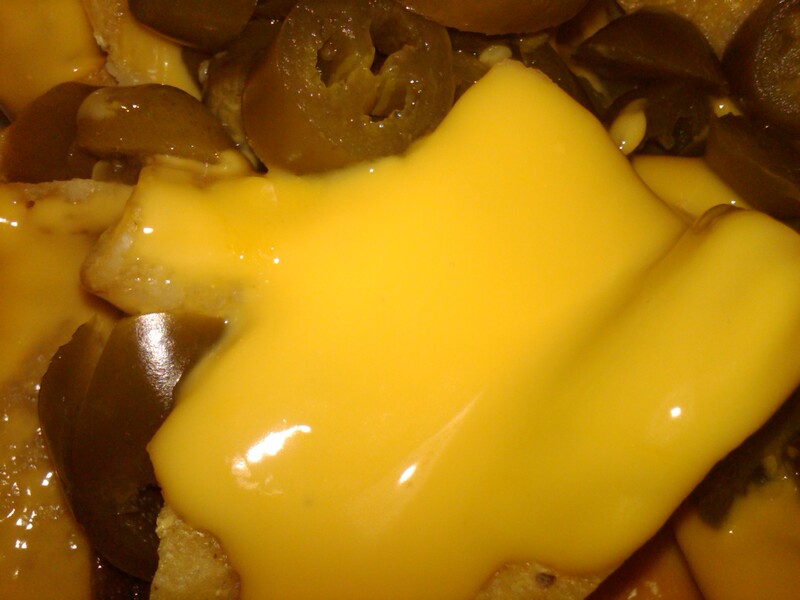 I know it’s only chips, cheese sauce and jalapenos. But, seriously. The chips are really good. And I LOVE me some cheese sauce. There are more jalapenos than my stomach can handle, but the jalapeno juice is worth it, so I just cast the extras aside. 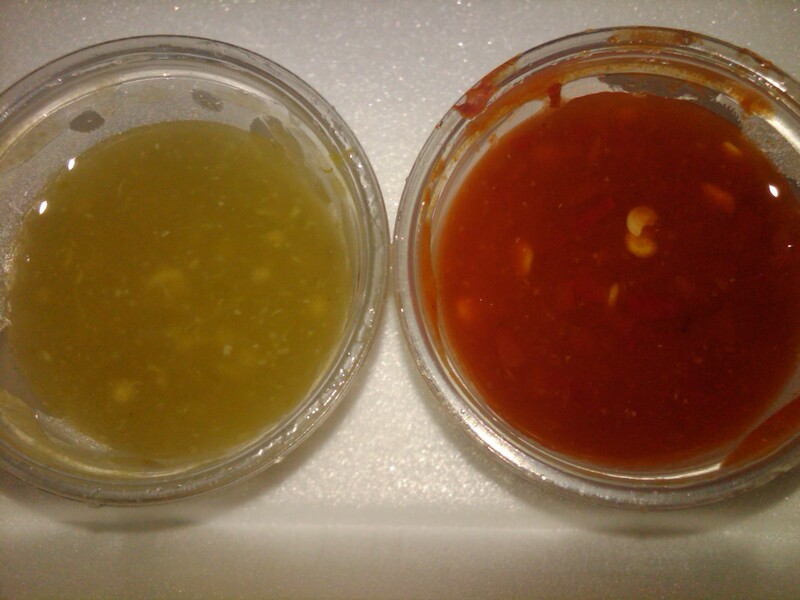 You even get two types of salsa. And, all of you out there know I’m a cheese lover. I’d marry cheese and have lots of illegitimate babies with it. I couldn’t finish the serving given. Do I want to think about how many calories I DID consume? Nope. Have I ever gotten anything else at Alejandro’s? No. Oops. I want you to know I have not read your review yet. All I saw was that this post is about Nachos and had to throw in my 2 cents. I LOVED the nachos. I ate the ENTIRE order of nachos, on my own…in one sitting. Needless to say I had quite an impressive food baby and had to forego my massage for that evening for fear I would explode if I laid on my stomach ( I ate there while I was in school). ok, gotta go. I’ve got reading to do. 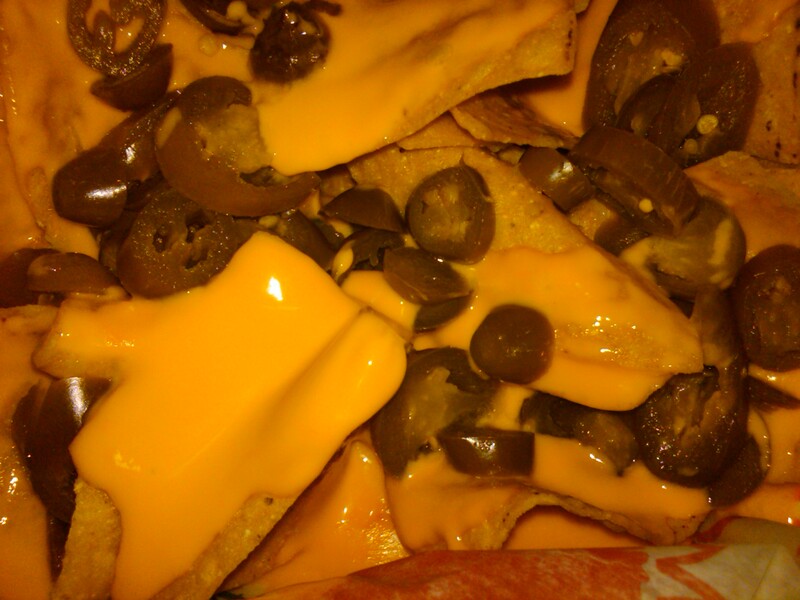 Mmmmmmm… Nachos. I’d love to try to conquer an entire order right now. 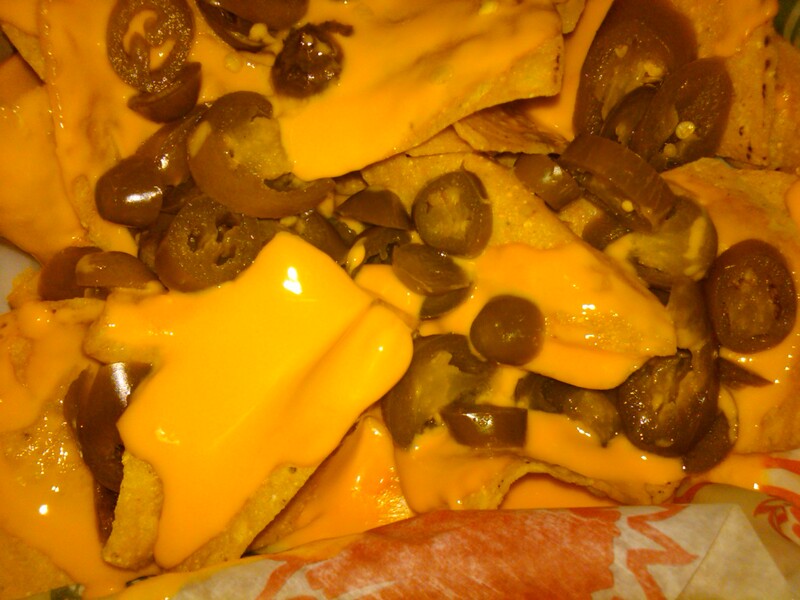 When I order nachos I like to pronouce it with a long A (I think, Kindergarden was a long time ago). Like you’re saying Apple, or maybe how one from Wisconsin would pronounce it. It makes me laugh. Jeanette, that made me laugh about how you like to pronounce nachos! Kelly, seriously if I ordered some of these there is no way I wouldn’t eat the entire plate in one setting! Yum! I know. I wasn’t pleased with my performance. Or lack thereof. The “Colorado Burrito” is a higher truth. Easily one of my favorite meals in town. I’ve liked everything I’ve tried but I rarely ever get anything else.